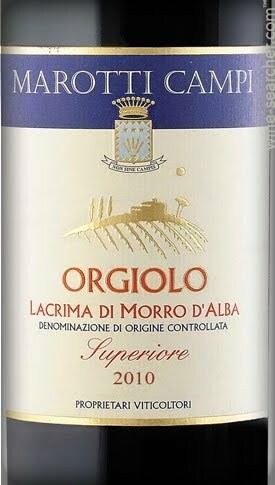 Even among niche wine lovers, Lacrima di Morro d'Alba is polarizing. When I searched for more info about the grape, one of the highest ranked items I found was Stevie Stacionis' piece "The First Wine I Ever Hated." The good news is the wine is ancient and really interesting: the King of Burgundy (!) praised it in the year 1167 after conquering the region. It faced extinction in the 20th century, but has been revived as Italy has concentrated on rediscovering its indigenous wines. Stacionis complains that the wine smells like her great aunt's perfume, and I can see that. 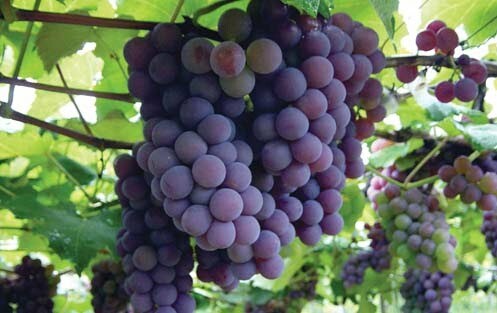 It's an unusual category of grape: an aromatic red. Its best qualities are usually all in the nose, and if there were no exceptions to that, I wouldn't be writing this. Fortunately, I found two reasons to drink a really weird and unique varietal. Lacrima di Morro d'Alba smells like gingerbread, anise, dried flowers and plums -- like some sort of European Christmas hot beverage. It's not shy: the aromas jump out of the glass. But for most of the wines, the flavors are underwhelming. It's a light-bodied wine and without sufficient fruit on the palate, those aromas quickly shift from intriguing to cloying. There's often also a balance problem, as producers do one thing wrong and try to fix it by doing something else wrong. There are a couple of exceptions: the wines of Stefano Mancinelli and Marotti Campi. Of seven Lacrima di Morro d'Alba wines I tasted at a seminar in Marche, Italy, these are the only ones I want to drink. Because only about 30 producers make only about 80,000 total cases, it's possible these are the best Lacrima di Morro d'Alba wines that have ever been made in the history of the world. Lacrima means "tear," the kind you cry. The grape (henceforth abbreviated as Lacrima, though there are other unrelated Lacrimas) got the name possibly because its berries are teardrop shaped, but more likely because their thin skins tend to burst before harvesting, giving the bunches the appearance that they are weeping wine. That means producers have to rush to harvest it, which limits choice in picking date. The only way to make a full-bodied Lacrima is to add Sangiovese, Montepulciano or even Syrah to it, which some producers do. 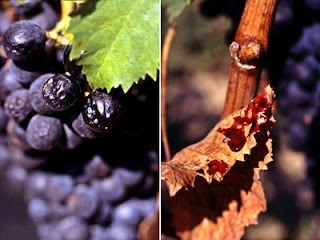 In 1985 the wine got DOC status and the law requires wines to have at least 85 percent Lacrima. In the 1990s, the world took on an obsession with making wines richer and bolder. Lacrima is never going to fit that mold. Nowadays, when I describe to you an aromatic, light-bodied, lower-alcohol red, you can see where it might find a niche. But still the wines have to be drinkable. What the Marotti Campi and Stefano Mancinelli wines have that others don't is a fruit-driven palate. There's still plenty of spice, but they are less like potpourri and more like cool-climate Syrah. I highly recommend either for checking out this very unusual wine. 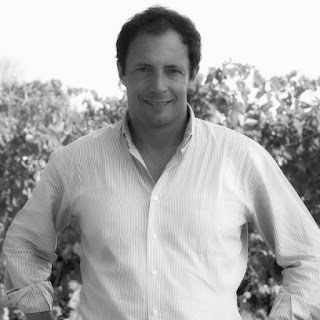 I had a chance to talk with Lorenzo Marotti Campi about why his wine is better than the others. "If you emphasize a bit the aromatic part of the Lacrima, you risk making a caricature," he said. "I always thought Lacrima had a crazy nose and the palate is vanishing. If you work a lot on extraction, it's like older woman perfume (Stevie was right!). You get a nose that blows you away but you have a wine that's bitter, and Lacrima's tannins can be a bit rustic. (Other producers) try to compensate with sugar. When I go in many markets they say, 'I thought Lacrima was a sweet wine.' In fact, Lacrima is the driest wine you can find. You cannot late-harvest Lacrima. The wine drips from the grapes. You have to harvest quickly." Marotti Campi ferments in stainless steel and does not press the grapes. He also ages the wine longer than other producers, so the tannins can soften and the aromas can evolve. His 2016 is just now being released. He says that because of its high acid, well-made Lacrima ages beautifully, although most people don't think to drink older wines. "Lacrima is all about the acid, the body, the good acidity and the good finish," Marotti Campi said. "We want to emancipate Lacrima from the impression that it can only be drunk young. I like the Lacrimas when the aromas evolve into spicy notes, juniper notes. We prove it because I have 20 vintages of Lacrima and none of them have faded." Marotti Campi is a terrific producer of the region's main wine, Verdicchio, and sommeliers are happy to carry his taut yet complex Salmariano Castelli di Jesi Verdicchio Riserva (which I heartily recommend). But they're often not interesting in trying that wine they've heard is like old lady's perfume. "Lacrima, when it's young, it goes with the oily food we have in the regional cuisine: the duck or the game," he said. "If I walk in a store in the morning and I make people try a young Lacrima, the reaction is, wonderful nose, but the tannins are a bit green. None of the balance of an older Lacrima. "We're trying to put together the personality of a Lacrima with elegance. I get tired of drinking some Lacrimas. I want to make a Lacrima that's not tiring to drink. If we manage to make a wine that's different, but also good, we close the circle." These wines aren't made in large amounts but you can buy them on the Internet for less than $25. Moreover, these are older vintages, so the tannins have already softened. My favorite aromatic red for about 15 years now is Campi's Orgiolo. First discovered at a Tre Bicchieri tasting in SF (and several times since), it's always a fun wine to drink. It's regularly available in the Bay Area, too, but you're mostly like to find Campi's Brut Rose sparkling wine. Jack: I believe you are talking about the same wine I am. Look at the label on the post. "Because only about 30 producers make only about 80,000 total cases, it's possible these are the best Lacrima di Morro d'Alba wines that have ever been made in the history of the world." So does that garner these two wines 100 point scores as being the best . . . ever . . . for this grape variety? If Robert Parker were rating these wines, he would opine that they don't improve with bottle age, so the maximum possible score is 90 points. Other wine critics would opine that their scores should be (pro) rated against the best examples of other red grape varieties extant. Meaning: can they "top" a red Burgundy or red Bordeaux? I can't think of a single wine critic who rates wines within their "class" (which I define as their grape variety). Blake, not only am I talking about the same wine, I'm telling you I discovered it like 15 years before you did. See David Morrison Ph.D.'s wine blog titled "Why comparing wine-quality scores might make no sense." And see the accompanying reading bibliography of past blogs he has penned on the subject.